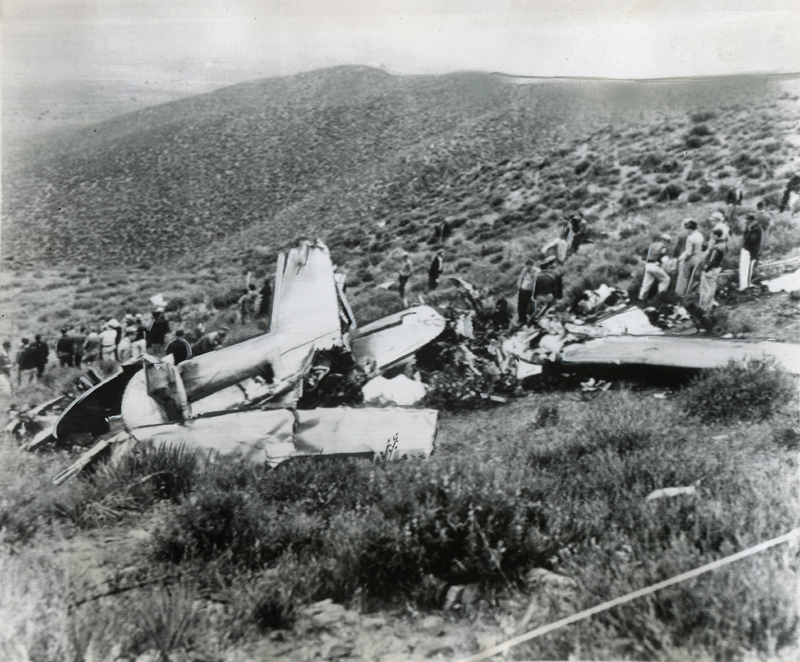 SCVHistory.com LW2680a | Agua Dulce | Wreckage of New Lockheed Transport Plane, 9 Killed, 5-16-1938. 7x9-inch ACME Telephoto from an unidentified newspaper's archive (note: distributed by ACME's New York bureau), with a news photo editor's enhancements. Plane crashed May 16, 1938; photograph was shot May 18, 1938. 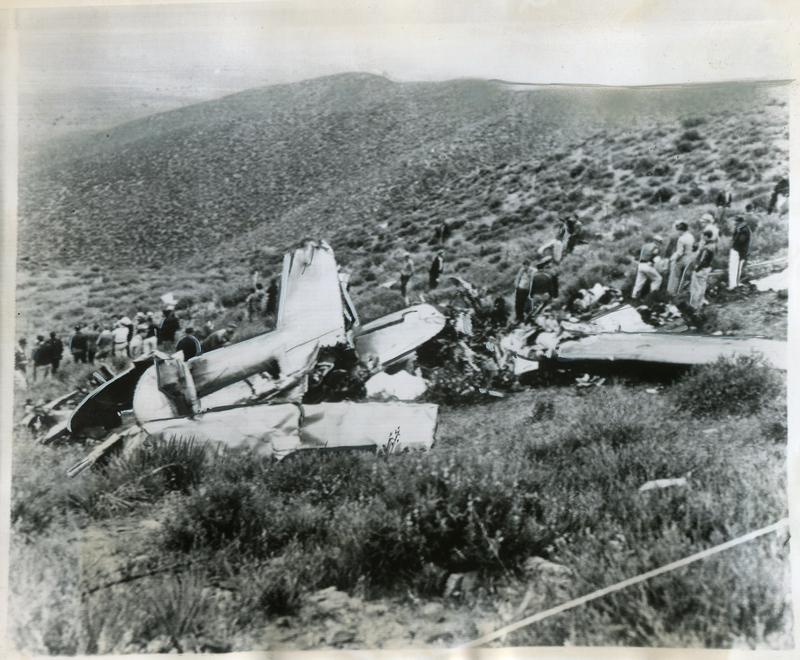 SAUGUS, CALIF. — A telephoto showing the wreckage of the Lockheed transport plane which crashed in Mint Canyon, twenty miles north of here, while making a delivery flight from the Lockheed plant in Burbank to Northwest Airlines in St. Paul, Minn. Nine persons, including two children, died in the disaster. The white patches seen in the picture are the shrouded bodies of the victims. LW2680a: 19200 dpi jpeg from original photograph purchased 2014 by Leon Worden.